What makes people loose their faith? You occasionally hear a story of someone who, when faced with unbearable circumstances beyond their control, walks away from anything and everything that has to do with God. Certainly, there are times when our “trials” seem overwhelming and downright unfair. In those times, I’ve found it’s helpful to stop and take a look around. It’s never too difficult to find someone in a situation far worse than your own. When I’m drowning in my own difficulties, somehow knowing that I’m not the only one suffering is comforting. I guess it’s that feeling that “I’m the only one” satan uses to plunge me deeper into despair. Today, my hope came as I the first chapter of Daniel, which is the next book my dBrag has chosen to start reading together. I began reading about Daniel and his buddies, Hananiah, Mishael and Azariah. You might recognize these last three better by knowing their new Babylonian names: Shadrach, Meshach and Abednego. I’ve heard the story dozens of times since I was a child, but perhaps always out of context, because today I seemed to focus on how Daniel and his buds had just been dragged to a foreign country after egocentric King Nebuchadnezzar had recently finished crushing their country. Torn from the familiar and comfortable, they now find themselves prisoners to idolaters. They could have easily thrown in the towel. 8 But Daniel made up his mind not to defile himself by eating the food and wine given to them by the king. He asked the chief official for permission to eat other things instead. 9 Now God had given the chief official great respect for Daniel. 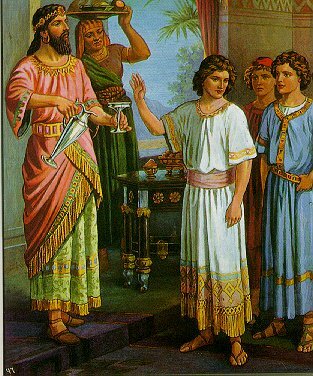 Ashpenaz, who was in charge of the palace eunuchs, had been tasked with selecting some of Judah’s strongest, healthiest, best-looking children (see KJV) for the purpose of serving in the palace. The king wanted them to know the language and literature of the Babylonians, so they needed to be bright and handsome, with noble and royal pedigree. Was it any mistake that Ash had selected Daniel and his cohorts? I think not. You see, God had already begun to intervene. God gave Ash “great respect” for Daniel. God was setting the stage for His power and glory to be displayed to Babylon – and the great King Nebuchadnezzar. 2 The Lord gave him [King Nebuchadnezzar] victory over King Jehoiakim of Judah. 17a God gave these four young men an unusual aptitude for learning the literature and science of the time. 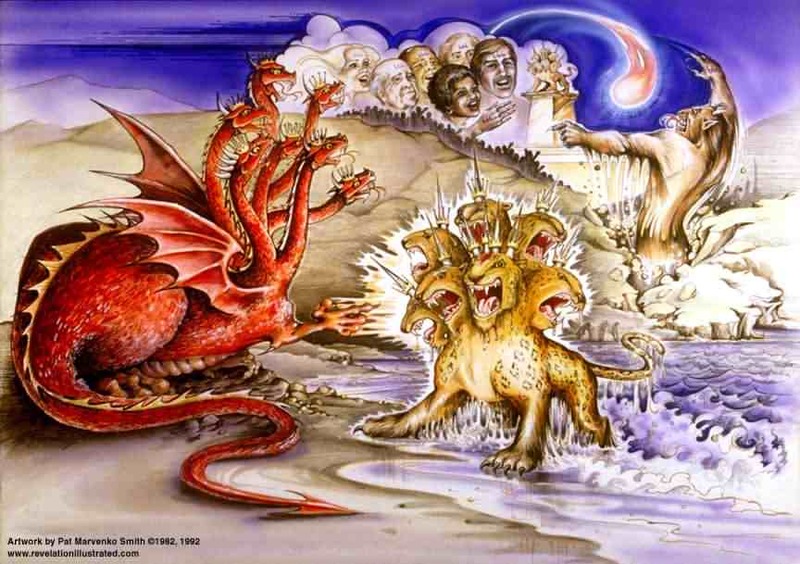 17b And God gave Daniel special ability in understanding the meanings of visions and dreams. 8 But Daniel made up his mind not to defile himself by eating the food and wine given to them by the king. Daniel made up his mind to stand strong. His faith did not waiver – and God honored that. What do you face today? Wouldn’t it be much easier to cave and go along with whatever life throws at you? What is it that holds you captive? Sometimes it’s difficult to choose to make a stand on something you believe in. Can you look your captor in the face and refuse to defile yourself any longer, like David did? God moves in mysterious ways! He WILL give you what you need when you need it – just don’t give up. He has the power to influence your captors. By taking your stand, you will be rewarded and others will benefit as well, as we’ll see in the following chapters of the book of Daniel. This entry was posted on October 28, 2007, 7:15 am and is filed under Bible, Bible Reading, Christianity, Daily Bible Reading, Daniel, Old Testament, Spirituality. You can follow any responses to this entry through RSS 2.0. You can leave a response, or trackback from your own site.